A Research and Markets report forecasts that what has been a steady 2.8% growth of commercial bakery product consumption in the U.S. will increase slightly to 3.0% due to the country’s steady employment growth.1 The report also concludes that increasing health awareness will continue to impact consumer preferences. For this year’s bakery industry trends, we put health at the top of the list. Consumer interest in protein, especially plant-based protein, is catalyzing the growth of high-protein baked goods like Iwon Organics Protein Crackers, Munk Pack Protein Cookies, and NuGo Protein Cookies. Plant proteins like pea protein and rice protein are typically used to achieve the target protein content, but Whey2Be! Cookies use whey protein concentrate to achieve their 20 grams of protein per cookie. Move over gluten-free; consumers are now seeking out grain-free products. This trend seems to be driven by two segments: Paleo enthusiasts and consumers with health problems (especially allergy, digestive, or autoimmune problems) who are experimenting with elimination diets or have found improvements on a grain-free diet. In addition to grain-free bread, consumers can buy grain-free crackers (e.g., Julian Bakery Paleo Thin Crackers), cookies (e.g., Paleo Prime Grain-Free Cookies), and waffles (e.g., Kitchfix Grain-Free Waffles). Ingredients commonly used in place of wheat flour include almond flour, cassava flour, and coconut flour. Clean label is fundamentally health-driven. A growing number of consumers are concerned about the possible negative long-term health effects of consuming synthetic ingredients (especially artificial preservatives, colors, and flavors), genetically-engineered ingredients, or foods that might contain pesticide or herbicide residues. For them, food labels that keep it simple and natural are always preferred. Clean label can be thought of as a spectrum that encompasses “real food” ingredients (ingredients that could be found in your kitchen), natural ingredients (naturally-sourced though they may be heavily processed), non-GMO, and organic. Non-GMO and organic options include labeling the relevant ingredients as such or certifying the finished product. The use of clean label bakery ingredients like natural mold inhibitors and enzyme-based dough improvers can bring an ingredient statement up to date. Transparency is often associated with the clean label concept. For example, although added vitamins and minerals may look like chemicals on a label, they are still widely accepted and appreciated when consumers understand what they are and why they have been added. Clear messaging can help consumers understand the benefits of the ingredients used. In addition, providing geographic or cultural details about ingredients, such as featuring a family farm, is valued more than ever by consumers. The popularity of bakery-cafes continues to reinforce the notion that coffee and baked goods are a perfect pairing. For packaged foods, this may translate to sweet baked goods in coffee flavors, especially if used to flavor icings and fillings. But rather than simply coffee-flavored, consider products flavored like coffee drinks, with descriptions like cappuccino, espresso, and mocha. Even Kellogg Pop-Tarts are now available in Dunkin’ Donuts Frosted Chocolate Mocha and Vanilla Latte flavors. Crackers are a particularly accommodating format for ethnic flavors and flavor combinations, both savory and sweet. Mediterranean and Middle Eastern flavors are popular, as well as country-specific Asian flavors like Thai flavors. Examples include Mondelēz Triscuit in Fig & Honey and Ginger & Lemongrass, as well as Kellogg Town House Focaccia Crackers in Rosemary & Olive Oil. Goth foods have made their way into baked goods as restaurants have started serving up hamburgers on black buns made with activated charcoal. In addition, the black croissant, hailing from a London restaurant, has become a social media sensation—with some in favor of the new look but others decidedly against it. Though black food may seem like the pendulum swinging back from last year’s glittery, multicolor unicorn food, it seems there is plenty of room for both extremes. Cakes, cupcakes, and cookies are all still fair game for a unicorn makeover (either in colorful pastels or bright rainbow colors) with plenty of sprinkles and shimmery edible glitter. Even without the total makeover, products can still pop with sprinkles and edible glitter, which are making their presence known in seasonal snack cakes, especially for the Fourth of July, Valentine’s Day, and Christmas. Cookies in their thinner versions continue to do well. These include Chips Ahoy! Thins, Oreo Thins, and Pepperidge Farm Farmhouse Crafted Thin & Crispy Cookies. Crackers with holes is a recent texture innovation brought to us by Snyder’s of Hanover. Their Wholey Cheese! Crispy Baked Crackers, available in a variety of cheese flavors, actually resemble tiny slices of Swiss cheese. The holes also help to reduce the calories in each cracker. Baked goods stuffed with a filling, especially cheese, add texture and flavor excitement to products such as Kraft Heinz Foods Nancy’s Philadelphia Petite Stuffed Bagels and Cole’s Middles Stuffed Bread Snack. Consumer interest in ancient grains remains strong. Ancient grains include quinoa, amaranth, teff, millet, sorghum, buckwheat, and wild rice, as well as the ancient varieties of wheat, such as spelt, kamut, farro, and einkorn. Ancient grains are showing up in pizza crusts (e.g., Brooklyn Bred Ancient Grains All Natural Pizza Crust), crackers (e.g., Mondelēz Vēa Andean Quinoa and Spices World Crisps), and in breakfast toastables—an alternative to French toast sticks (e.g., Qrunch Organics Quinoa Breakfast Toastables). Quinoa is still the most popular of the ancient grains, but amaranth may be next in line. Depending on age and gender, adults should be consuming an average of 2 to 3 cups of vegetables per day,2 but fewer than 1 in 10 adults3 are actually meeting these intake recommendations. Baked goods are a convenient way for consumers to increase vegetable intake. The natural pigments found in vegetables like spinach, beets, and carrots also add eye appeal to baked goods. Baked goods with veggies can be found in several formats, including bread (e.g., Hybread Baked with Benefits Spinach Veggie & Whole Grain Bread—with spinach as the first ingredient), wraps (e.g., BFree Be Wheat & Gluten Free Sweet Potato Wraps), cookies (e.g., Farm & Oven Bakery Bites), and even frozen waffles (e.g., Garden Lites Waffles). There has been a notable expansion beyond the veggies traditionally used in sweet baked goods (like pumpkin, zucchini, and carrot), to the use of unexpected veggies, such as kale, butternut squash, red pepper, and tomato. A number of bakery products with candy inclusions have been launched recently, a few as seasonal products. Hostess has several candy inclusion options: Hostess Brownies made with Butterfinger, made with Milky Way, or made with M&Ms. Nabisco Firework Oreo contains popping candy for a unique mouth sensation. Kellogg Pop-Tarts, though not containing actual candy, are now available in Jolly Rancher flavors like watermelon, cherry, and green apple. In the meantime, cookie-candy hybrids like Hershey’s Cookie Layer Crunch Bar are blurring the line for consumers between confections and baked goods. The U.S. continues to become more ethnically and culturally diverse, with immigrants now comprising 13.4% of the population, mostly from Mexico, China, and India.4 It’s no surprise that demographic diversity gives rise to culinary diversity. Furthermore, through photo sharing on social media (e.g, Instagram and Pinterest), people can see and learn about traditional and trending foods from all over the world. 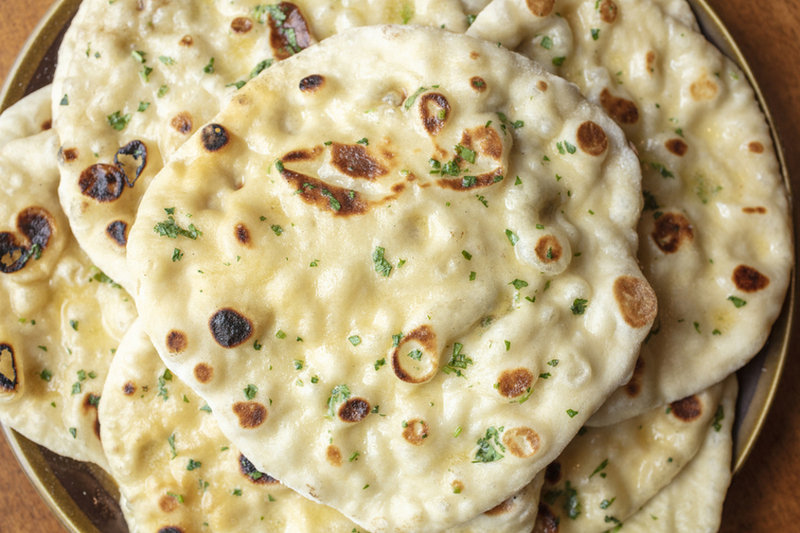 The global influence on U.S. bakery can be seen in the continued strong demand for tortillas, pitas and naan. Other ethnic breads gaining traction are Brazilian cheese bread, Japanese milk bread, and dessert bao buns. With some predicting Israeli food as the next big cuisine, it may be worth learning about the wide variety of Israeli breads and pastries, such as the Jerusalem bagel (an oblong bagel served with za’atar), bureka (a savory filled pastry topped with sesame seeds), and kubaneh (a buttery pull-apart bread). Sustainability messaging continues to resonate with consumers as it reflects self-image and makes them feel good about choosing that product. This is especially relevant to Millennials and Gen Z. Where sustainability was once agriculturally-focused and pertained mostly to crops grown in an environmentally-sustainable way (e.g., without pesticides and herbicides that may pollute waterways and impact biodiversity, without genetic engineering, and without clear-cutting forests), the concept of sustainability has greatly expanded. Beyond organic, non-GMO, and sustainable palm oil certifications, sustainability has come to include livestock practices perceived as more humane (e.g., cage-free and free-range), the ethical treatment of farm workers (e.g., Fair Trade certified), and corporate social responsibility practices like company-wide recycling or improved production efficiency that uses less water or energy. Minimizing or upcycling food waste has gained a lot of media attention recently. Corporate policies of giving back to communities, either through corporate volunteerism or through the donation of money or food to local causes, is seen as a type of sustainability in that it helps sustain the community. No sustainability effort is too small to share with the consumer. It builds trust and adds value to your products. Whether you produce breads, pastries, crackers, or bars, plenty of exciting options await. You can explore new colors, flavors, and textures or add new ingredients like plant proteins, veggies, or ancient grains. Ideas can come from anywhere now—restaurants, bakery-cafes, university foodservice, Instagram, the Food Network, and even other sectors of the packaged foods industry. Trends to watch for include more ethnic breads, vegan cupcakes, new donut flavors (e.g., s’mores and maple-bacon), and “slow dough” breads with longer fermentation times. If your baked goods could use a little boost—maybe from edible glitter or a custom vitamin-mineral premix —or you’re considering transitioning to clean label ingredients like enzyme-based dough improvers or natural mold inhibitors, Watson can help you make your next move. Click to see our complete Bakery Ingredient product line.